Located in the St. Luis Valley in Southwestern Colorado, Alamosa stands as a tribute to history. With Native American residents dating back 11,000 years, Spanish settlers claiming the land in the 1500's and finally Lt. Pike scouting and claiming the area in the arms of the gold rush, Alamosa has a rich and complicated history behind it. 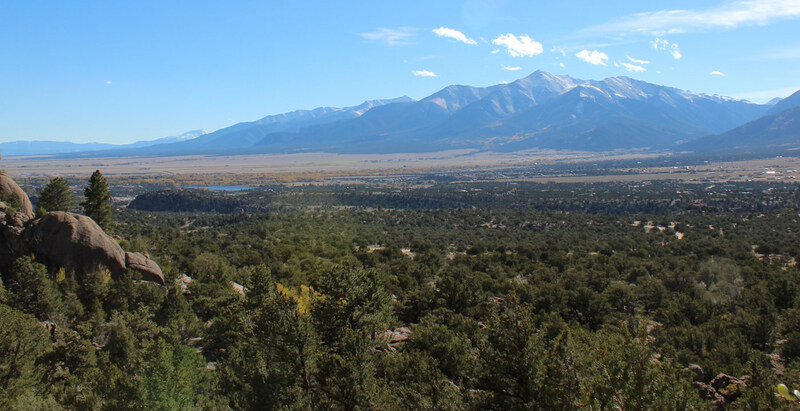 Today you'll find the pretty town of Alamosa a mecca for outdoor enthusiasts and nature buffs alike. Whether your passion is climbing Fourteeners, of which the St. Luis Valley has no less than 10, or venturing across the Great Sand Dunes National Park, rafting the Rio Grande or adventuring through the 100,000 acres of preserve to catch sight of the more than 23,000 Sandhill Cranes, there is something that will spark the imagination of everyone in your family. Within the links above, you'll find everyting you need to make your vacation to Alamosa an incredible adventure no matter what your passion.